This letter, sent by Brigadier General J.M. 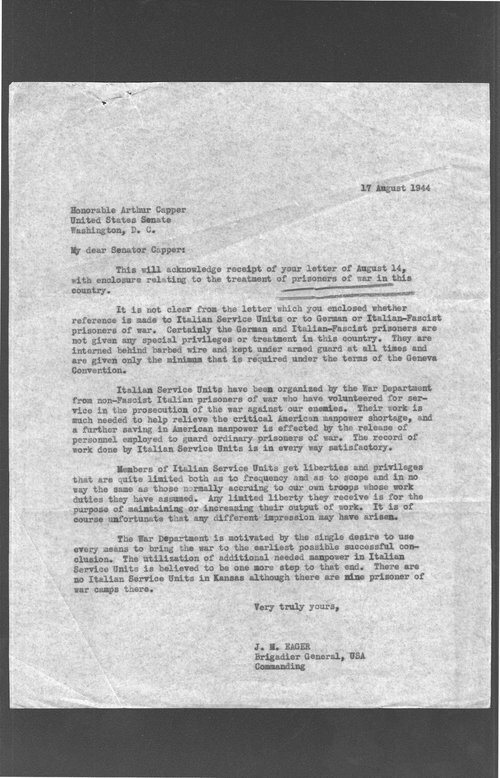 Eager to Senator Capper, discusses the treatment of Italian POWs held in the United States during World War II. Creator: Eager, Brigadier General J.M.